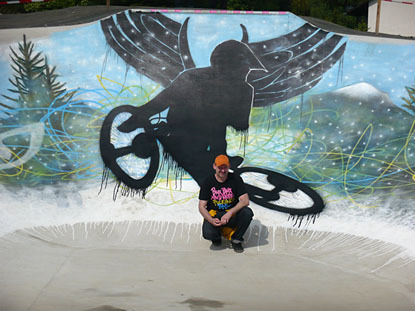 In close cooperation with the Bikepark Winterberg and the mountain bike track designer Diddie Schneider we have planned and realized a Bowl in a Mountainbike track. 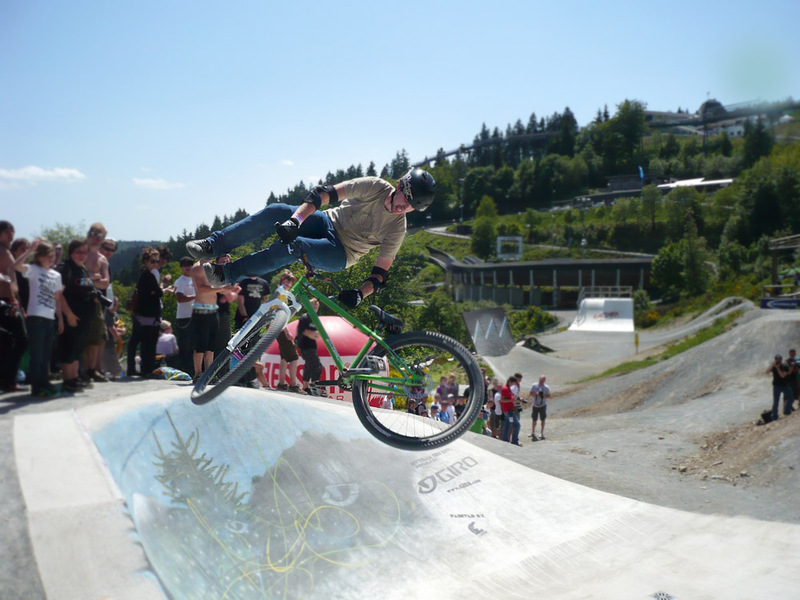 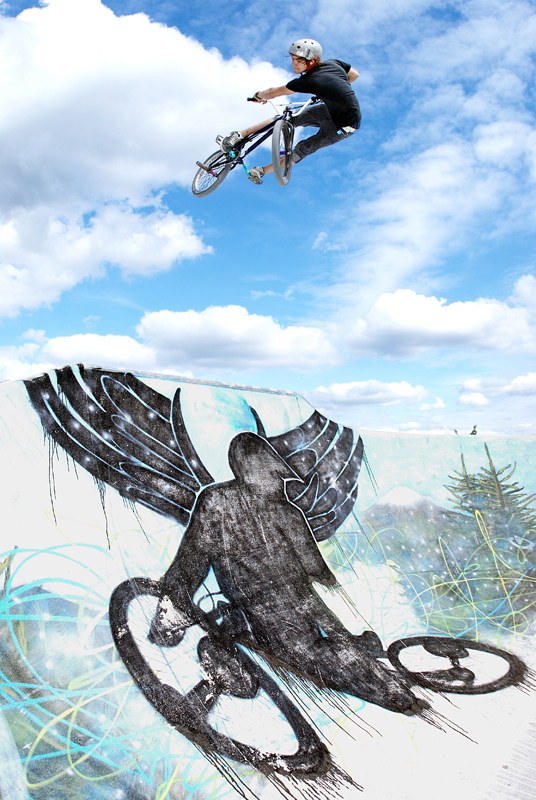 For the first time in the history of mountainbiking, a concrete-bowl was built into a Slopestyle track! 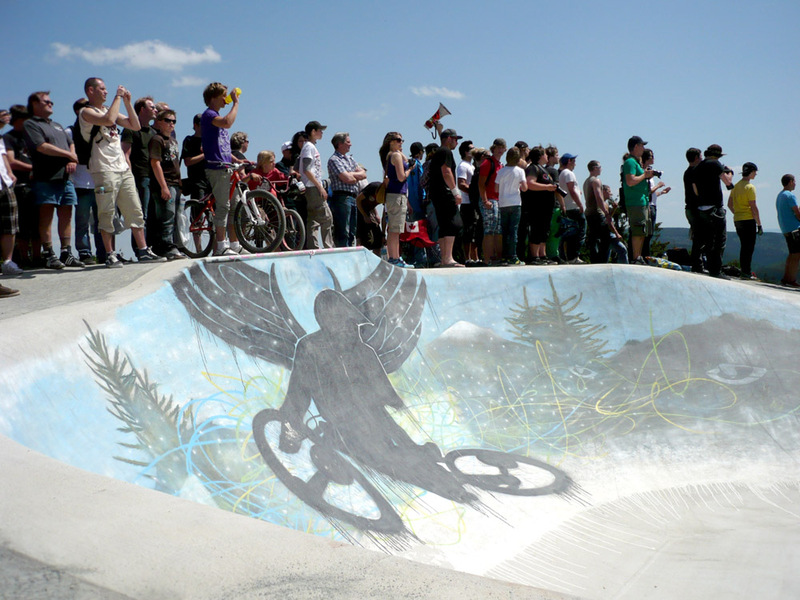 The Bowl will carry the name of the sponsor – Giro Bowl. 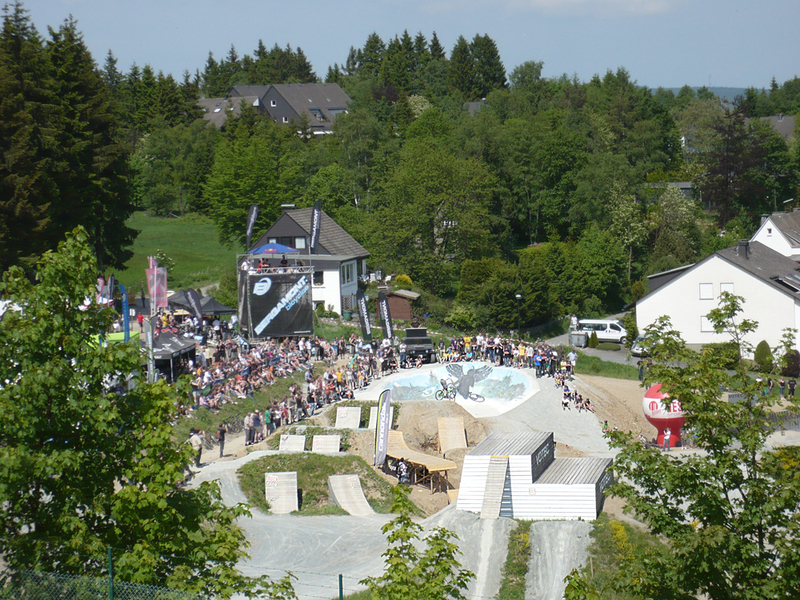 After only 19 days of construction, the bowl was built in time for Europe’s biggest freeride festival, the Dirt Masters. 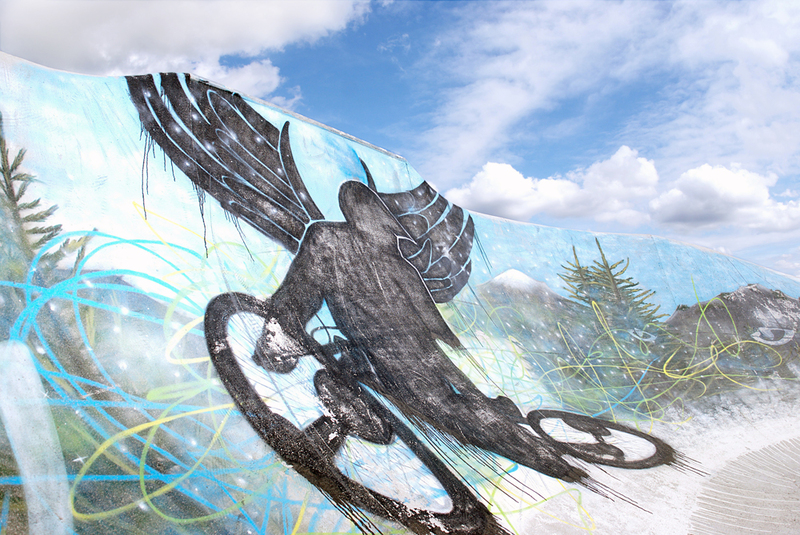 The new Bowl was then sprayed by the graffiti team Audfactory and then opened on Friday afternoon with the best trick contest.